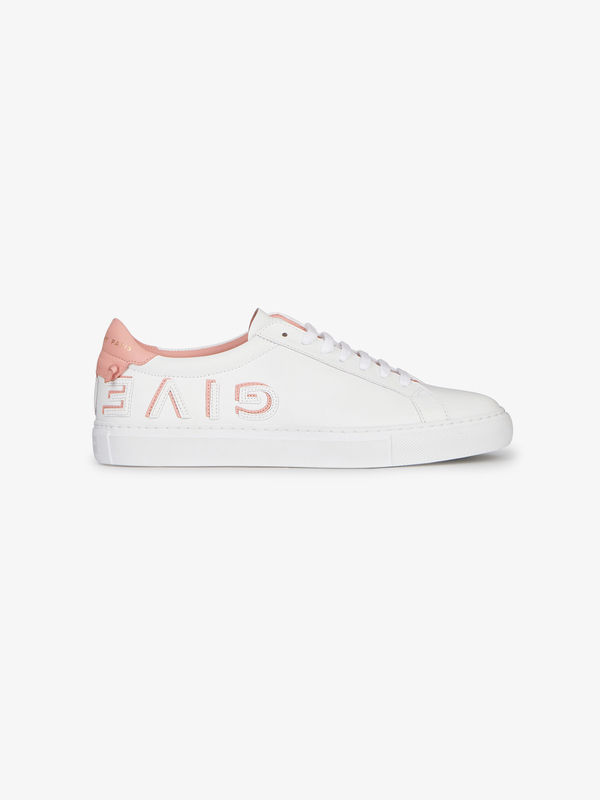 Urban Street sneakers in matte white leather with inverted GIVENCHY signature in salmon and white split letters. Gold GIVENCHY PARIS signature, salmon leather knots and inset on the back. Salmon insole.